Dubai UAE, 2018-Oct-19 — /Travel PR News/ — Dubai-based airline flydubai and Swiss Aviation Software (Swiss-AS) have integrated the flydubai Engineering Maintenance System (AMOS) with FedEx Web Services, which are designed to enhance air waybill generation and the transition towards paperless documentation. The integration of the FedEx air waybill automation in the AMOS system gives flydubai the ability to manage their entire processes from their desktop, reducing processing time by up to one minute per shipment, and saving approximately 340 employee hours per month. In addition, FedEx Web Services technology will help avoid duplicate data entry, ensuring that air waybills are created error free, while providing flydubai with real-time tracking and transit times. flydubai is the first airline in the UAE to implement the integrated AMOS and FedEx Web Services system, which will benefit more than 100 airlines and Maintenance, Repair and Overhaul (MRO) companies around the world. “Integrating our Engineering Maintenance System with FedEx Web Services will have a lasting effect on our automation process, by reducing shipment processing times and increasing our operational efficiency,” said Mick Hills, Senior Vice President, Engineering and Maintenance at flydubai. “We would like to thank FedEx Express and Swiss Aviation for their support as we look forward to the added benefits that this innovative technology will bring to our operations,” he added. “At FedEx, innovation has been in our DNA since our first day of operations in 1973, and our technology is designed based on what our customers need to make their shipping processes and business successful,” said Jack Muhs, Regional President, FedEx Express Middle East, Indian Subcontinent and Africa. “FedEx Web Services are designed to seamlessly integrate into third party software providers, which helps organizations such as flydubai increase their operational efficiency, streamline their workload and improve business processes with minimal time and investment,” added Muhs. From its home in Dubai, flydubai has created a network of more than 90 destinations and over the next decade the airline will see its fleet grow by up to 296 aircraft. 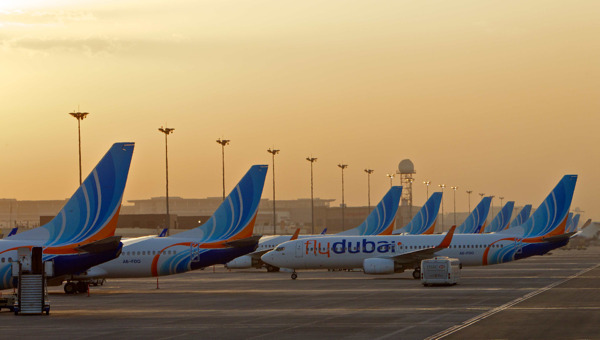 Since commencing operations in June 2009, flydubai has been committed to removing barriers to travel, creating free flows of trade and tourism and enhancing connectivity between different cultures across its ever-expanding network. An expanding network: Created a network of more than 90 destinations in 48 countries across Africa, Central Asia, the Caucasus, Central and South-East Europe, the GCC and the Middle East, and the Indian Subcontinent. An efficient single fleet-type: Operates a single fleet-type of 62 aircraft including Boeing 737 MAX 8 and Next-Generation Boeing 737-800 aircraft. Enhancing connectivity: Carried more than 60 million passengers since it began operations in 2009. This entry was posted in Airlines, Business, Travel, Travel Services, Travel Tech, Travelers and tagged engineering, FedEx, flydubai, Jack Muhs, Maintenance System, Mick Hills, Web Services. Bookmark the permalink.